Orlando, Florida – March 31, 2015 – (INTUITION by Perspective Group) – Looking for a vacation that offers pure luxury – the ultimate in pampering from the moment of arrival? Look no further than Unlimited Vacation Club (UVC) by AMResorts, an exclusive travel club providing VIP privileges at luxurious AMResorts properties throughout Mexico, the Caribbean and Costa Rica. Unlimited Vacation Club raises the bar on the all-inclusive vacation with the exclusive Endless Privileges® program at Zoёtry Wellness & Spa Resorts, the premium Unlimited-Luxury® experience at Secrets, Breathless, Dreams and Now Resorts & Spas and the great inclusions, only at Sunscape Resorts & Spas. Members can enjoy the unique benefits of all three programs, featuring an array of high-end services and amenities. 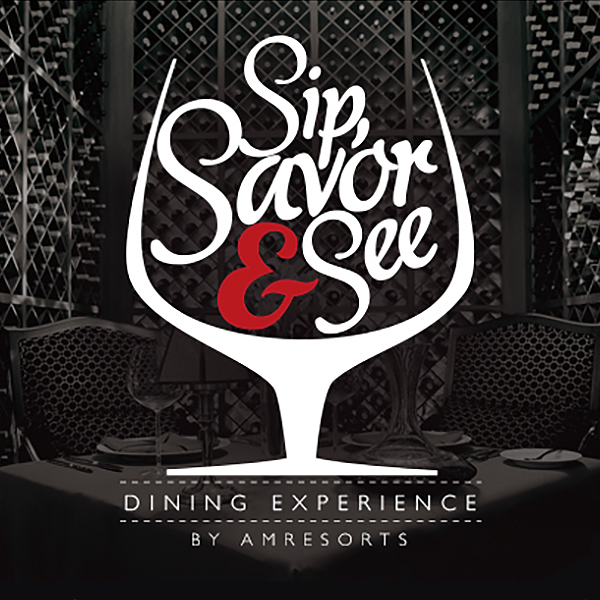 The UVC’s Sip, Savor & See program invites members staying at select Zoёtry, Secrets, Breathless, Dreams, and Now resorts to enjoy dinner, drinks and live entertainment at other participating AMResorts properties in the region. Sip creative cocktails, savor delicious cuisine at the restaurant of your choice and see the property’s evening entertainment – it’s all part of the pampering experience! Considering each of the participating resorts is home to myriad bars & lounges and restaurants as well as ever-changing nightly entertainment, the options are endless. Let’s say you are a UVC member staying in the Mexican Caribbean at Secrets Playa Mujeres Golf & Spa Resort, home to eight restaurants that offer a full array of options, from seafood (Oceana) to traditional Mexican (El Patio), fine Italian (Portofino), French (Bordeaux) and Pan-Asian cuisine (Himitsu). Add to that, Secrets Playa Mujeres is one of 13 participating Sip, Savor & See resorts in the region, each with multiple restaurants and nightlife options of its own, and you can see why UVC assures members can always find something new to try. The UVC makes it easy to enjoy the Sip, Savor & See program. First, guests can simply visit the concierge desk of the resort where they are staying by 3:00 p.m. to make arrangements for that evening and choose from delectable options at participating resorts in the region. Then, the concierge will assist in arranging transportation. After that, members are all set to have fun discovering what nearby resorts have to offer, from 6:00 p.m. – 1:00 a.m., including restaurants, bars and evening entertainment! Members are responsible for the cost of transportation to and from the resort. Reservations can be made at the visiting resort for up to four people per seating. Holidays, special event and high occupancy restrictions may apply. Only select resorts feature the Sip, Savor & See program. Please contact the resort concierge to find out whether or not your resort participates. AMResorts is the fastest-growing provider of sales, marketing and brand management services to six unique, all-inclusive concept resort brands with 37 properties in Mexico, Jamaica, Curaçao, Dominican Republic and Costa Rica. These brands include: the luxurious and boutique Zoëtry® Wellness & Spa Resorts (www.zoetryresorts.com, 1-888-4-ZOËTRY); adults-only Secrets® Resorts & Spas (www.secretsresorts.com, 1-866-GO SECRETS); Breathless Resorts & Spas (www.breathlessresorts.com, 1-855-65-BREATHE); family-friendly Dreams® Resorts & Spas (www.dreamsresorts.com, 1-866-2-DREAMS); vibrant Now® Resorts & Spas (www.nowresorts.com, 1-877-NOW-9953); and fun-filled Sunscape® Resorts & Spas (www.sunscaperesorts.com, 1-866-SUNSCAPE).